28 Aug 2018 --- Ahead of European legislation, producer of premium quality vegetable oils and fats Bunge Loders Croklaan, can now offer its entire palm oil food portfolio with low 3-MCPDE levels, in addition to its already available low Glycidyl Esters (GE) portfolio. 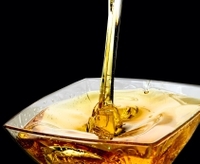 The European Food Safety Authority’s (EFSA’s) published Scientific Opinion points to concerns with regards to the presence of some substances (3-MCPD Esters (3-MCPDE) and Glycidyl Esters (GE)) found in refined vegetable oils and fats. The European Union (EU) Regulation of 2018/290 limit of <1 ppm for GE took effect in March 2018. The discussions on how to translate the new 3-MCPDE tolerable daily intake (TDI) to limits for vegetable oils and fats and food products are ongoing. The exact timing for an EU regulation on limits for 3-MCPDE remains unclear. “Bunge Loders Croklaan has a comprehensive product offering derived from both seed and tropical oils. This complete seed and tropical oil portfolio, expanded global footprint and deep technical application expertise positions Bunge Loders Croklaan to be a full-service partner uniquely able to help our customers innovate and grow for the future,” he notes. “The oils and fats business is a healthy growing industry,” Riemensperger adds. Bunge Loders Croklaan is committed to continuing its mitigation efforts and deliver even lower levels. It will take every step necessary to ensure its products meet the latest food safety and quality standards, legislation and industry requirements, according to the company. To support its customers, Bunge Loders Croklaan has also developed the Care Free Index. This tool calculates the recommended portion intake for the fat or oil type applied in recipes.